Have you ever wondered how a celebrated fashion designer would decorate his own home? Fashion designer Frederick Peralta showed us how he furnished and styled his personal sanctuary in Quezon City. Frederick used to live in a three-door apartment that was already featured in the August 2006 issue of Real Living. 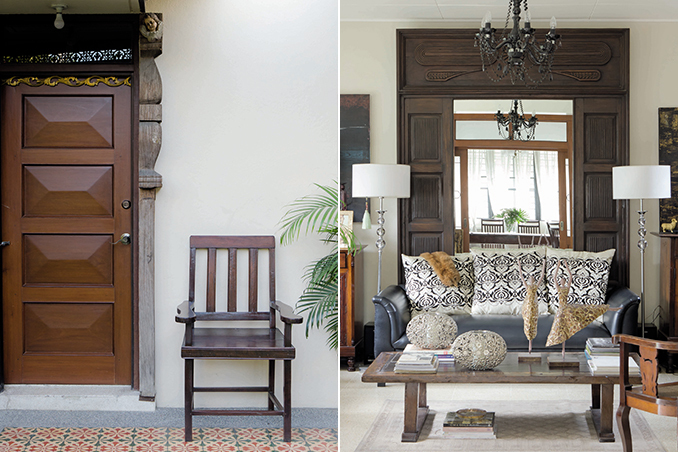 Now, he has moved into a 1950s-style quadruplex that he filled with antique Filipino furniture pieces. To add sparkle and shine to the rooms, he brought in mirrors, crystals, and decor with metallic finishes. Read the original article ("Timeless Taste") in the July 2015 issue of Real Living Magazine. Download your digital copy of Real Living on the Real Living App. Log on to summitnewsstand.com.ph/real-living for more details.